Giulio Cesare Casseri, also known as Casserio, was born in about 1552 in Piacenza. His father died when he was young leaving his family poor, so when he attended medical school at the University of Padua he did so as the servant of another student. Later he was a servant to the noted Fabricius ab Aquapendente (ca. 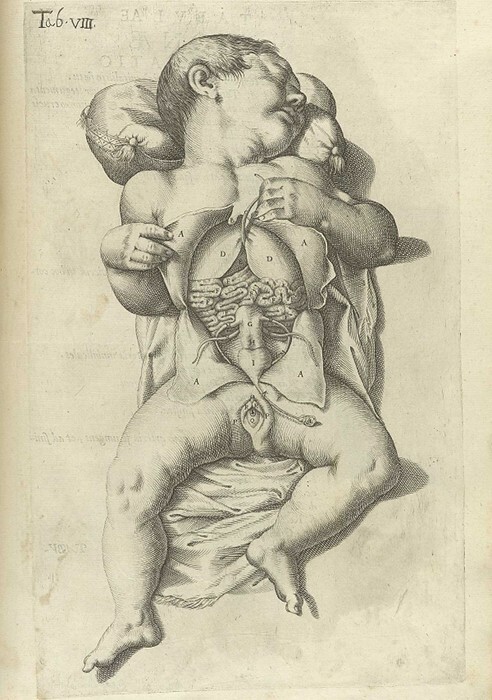 1533-1619), whose chair in surgery and anatomy Casseri later filled. 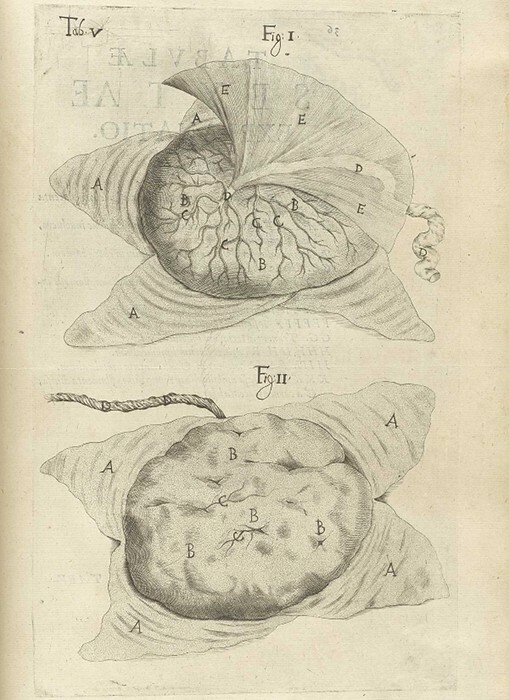 He was especially known during his lifetime for his research into the anatomy of the speech and auditory organs. In about 1600, he began work on an anatomical atlas covering the entire human body, which he still had not completed at the time of his death in 1616. 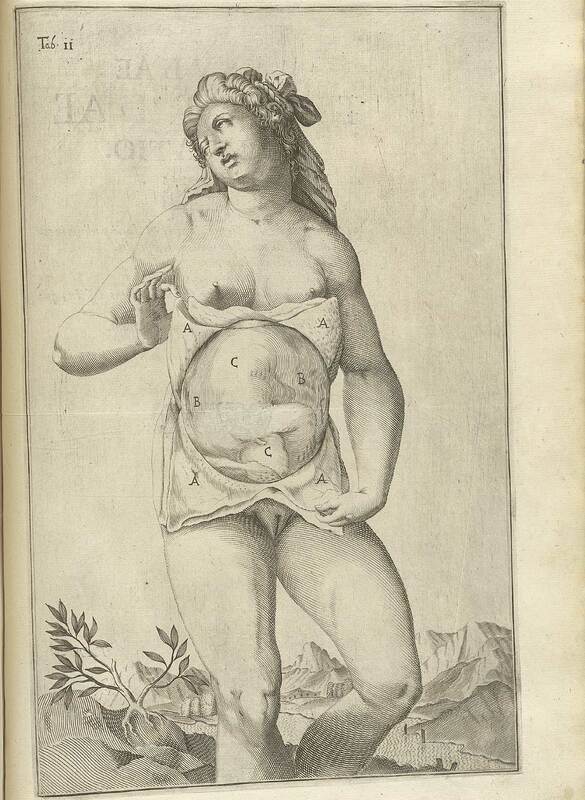 In fact, it has been conjectured that Fabricius stopped its publication in 1616 because of a rivalry between the two. 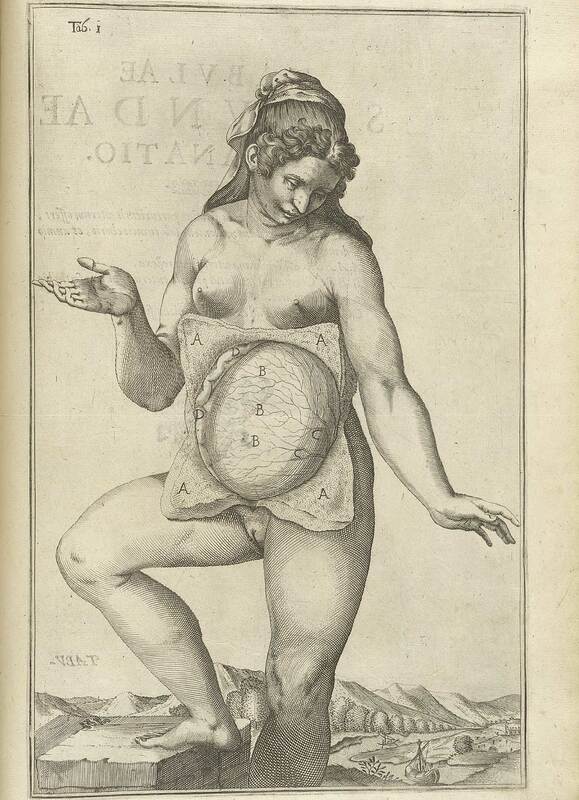 Adriaan van de Spiegel, sometimes known as Spigelius, was born in Brussels in 1578. 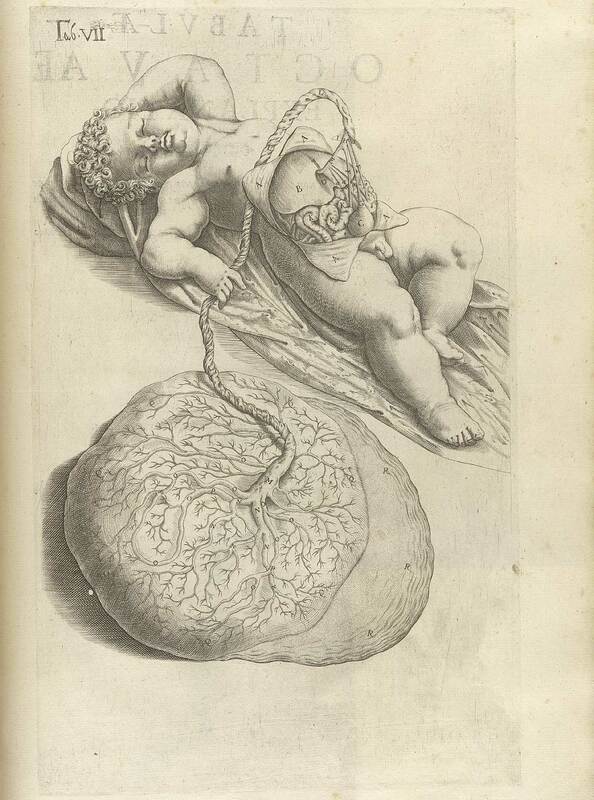 After studying medicine and philosophy in Louvain, he went to the University of Padua to study medicine under Casseri and Fabricius. 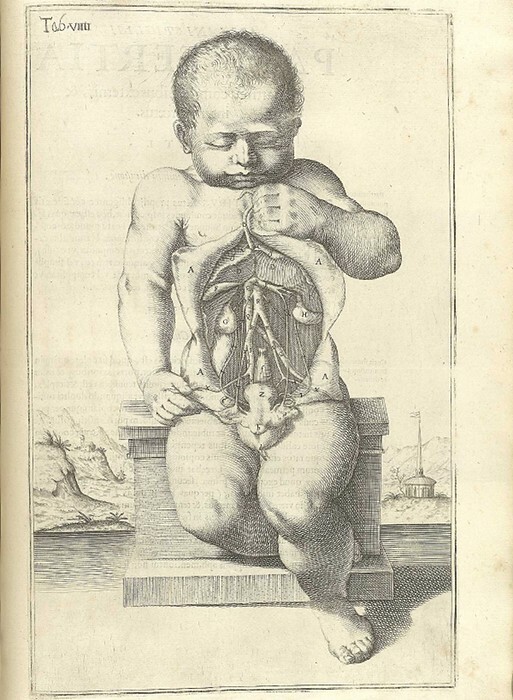 Becoming an expert in anatomy, surgery, and botany, Spiegel made a name for himself practicing in Germany, Hungary, and Moravia. 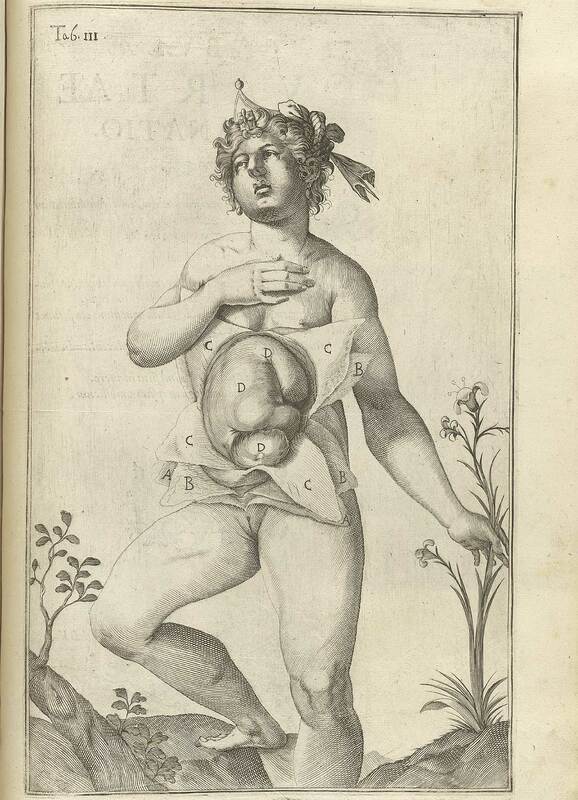 In 1616, he was appointed to the chair of anatomy and surgery at Padua after Casseri’s death, and he died in that city on April 7, 1625. 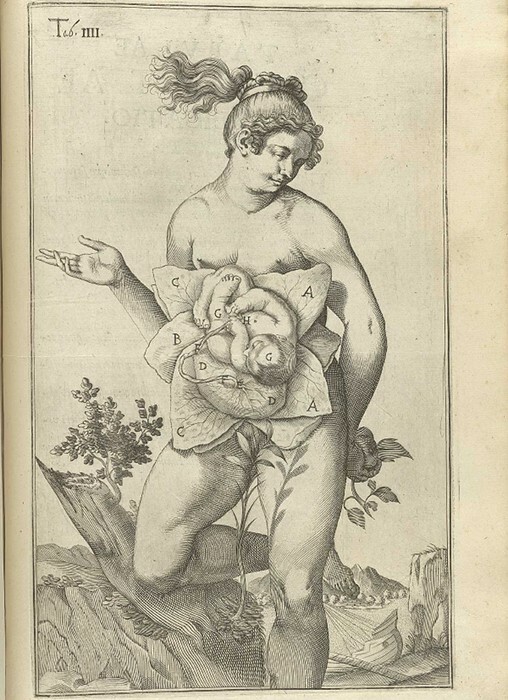 At the time of Adriaan van de Spiegel’s death, his son in law, another physician named Liberale Crema (fl. 1626) edited Spiegel’s unillustrated anatomical text, De formato foetu liber singularis. To accompany it, he obtained nine copperplate engravings which Casseri had created either for a work on general anatomy or one specifically on fetal development. The plates are the work of Titian’s student Odoardo Fialetti (1573-1638), and engraver, Francesco Valesio (b. ca. 1560); the same artist and engraver who created Casseri’s plates for his anatomical magnum opus which were published with Spiegel’s text, De humani corporis fabrica libri decem (Venice, 1627).